Join Vegan Pastry Chef Fran Costigan in a conversation with award-winning Chef and Baker Carolina Molea. Fran and Carolina will discuss both vegan desserts and getting started in the culinary world with your own brand and your own voice. 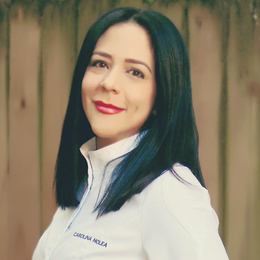 The Le Cordon Bleu-trained and American Culinary Federation Certified chef, is the owner and founder of L’Artisane Creative Bakery, she has worked in prestigious hotels in the city of Miami like The Ritz-Carlton, high end restaurants as El Cielo by Juan Manuel Barrientos and as Private Chef for a diverse clientele. She has trained with renowned chefs like Patrice Demeres and Gianluca Fusto at L’Ecole Valrhona in the city of New York, and the queen of Vegan Pastries: Fran Costigan, who has mentored her career from the moment she saw Carolina’s potential. Carolina was born and raised in Caracas, Venezuela in a home where food was always at the center of celebrations. Her grandmother, Ana, a professional cook, taught her how herbs and spices create dazzling dishes and mouthwatering desserts full of love and flavor. Carolina also learned the healing power of food and the great responsibility to nourish not only the bodies, but also, the souls of those we cook for. Her commitment to create a cruelty-free world through delicious and beautiful desserts comes through in her French-inspired bakery. Carolina’s Miami bakery, L’Artisane, was awarded the jury award for best croissant at Miami Croissant Battle 2018.